After a year and a half-long engagement, Aetna and Humana are finally breaking up. For Aetna, it's going to be expensive. The two insurers called off their proposed marriage on Tuesday, opting not to appeal a recent federal court ruling that blocked the merger on anti-competitive grounds. While the decision to call it quits is a boon to healthcare customers and providers alike, it's a disappointing outcome for the health insurers that have spent 19 months and millions of dollars in legal and financial fees preparing for the merger. Aetna Chairman and CEO Mark Bertolini said Tuesday that “the current environment makes it too challenging to continue pursuing the transaction” and both companies need to move on. Humana is also walking away a richer company. Aetna now owes Humana a $1 billion breakup fee, or about $630 million after taxes. Hartford, Conn.-based Aetna will also have to pay Medicaid managed-care insurer Molina Healthcare a breakup fee of about $52.5 million, while Humana will pay $22.5 million. Aetna and Humana had agreed to sell Medicare Advantage assets to Molina to satisfy the U.S. Justice Department's concerns that their merger would reduce competition in the Advantage market, but that deal was contingent on the Aetna-Humana tie-up gaining approval. The two will also share the costs of Molina's expenses related to the transaction, which are yet to be determined, an Aetna spokesman said. Aside from the breakup fees, Aetna has racked up a big bill in preparing for the merger. In 2015 and 2016, Aetna spent $775 million in transaction and integration-related fees, according documents filed with the U.S. Securities and Exchange Commission. Most of those costs were related to the Humana merger, an Aetna spokesman said. Humana recorded $127 million in fees related to the merger, an SEC file shows. Aetna will take a hit from the payouts, but it's an outcome they would have prepared for, said Morningstar analyst Vishnu Lekraj. “It's kind of like a deposit. You put the deposit down, and if something happens it hurts, but it's not going to be a disaster,” he said. Some analysts predict that Humana will use the extra cash to pay shareholders or fund other potential deals. The hard part will be finding the right target, however. The U.S. District Court ruling will make it difficult for large insurance mergers to take place in the Medicare Advantage market, where Aetna and Humana have a major presence. Humana serves 3.2 million Medicare Advantage members, and Aetna covers 1.4 million. So some industry analysts say Humana could pair up with Anthem or Cigna, since neither deals heavily in Advantage plans. Cigna made moves to break up its merger with Anthem Tuesday. Another U.S. District Court judge last week blocked that $54 billion tie-up, saying it would harm consumers. Anthem filed a notice to appeal the decision, but Cigna Tuesday announced it wanted to terminate the merger agreement and was asking Anthem for $1.85 billion and more than $13 billion in damages. Anthem is unlikely to let that money slip away easily, so the two could end up in a court battle. Humana could also try for a smaller Medicare Advantage player, or even acquire a Medicaid insurer like Centene, Molina or WellCare to diversify its product line. Meanwhile, Aetna will be fine on its own, Lekraj said. It's larger and more diversified than Humana, with a book of business that includes commercial, Medicare Advantage, Medicaid and exchange plans. 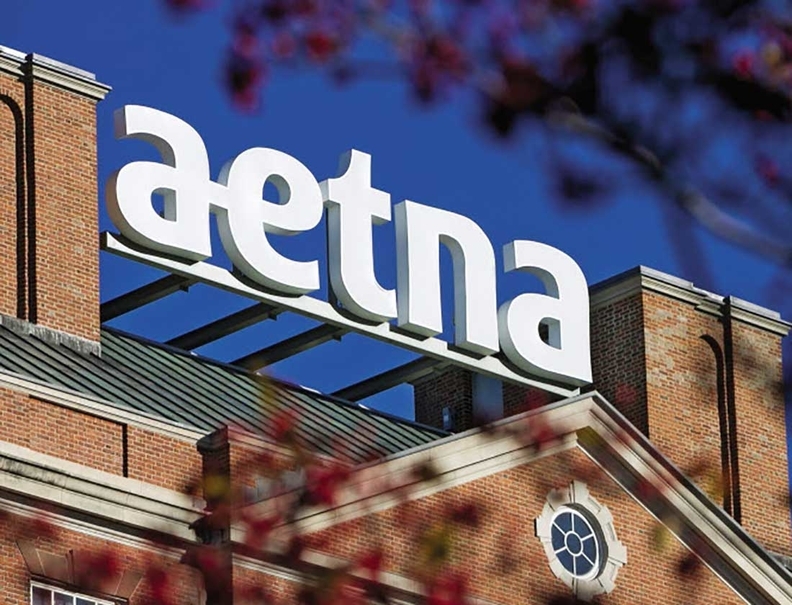 Still, Aetna could look to combine with a Medicaid insurer because it has a “weak” Medicaid footprint, Leerink Partners analyst Ana Gupte said in a recent research note. Both Aetna and Humana will have a lot of cash on hand ready to fund other transactions. Investment firm Barclays has estimated that Humana will have $4.7 billion in capital ready for deployment, while Aetna will have $4.3 billion.